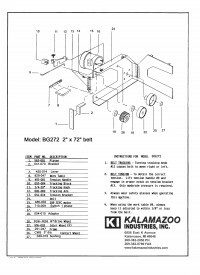 BG272 2 x 72 inch belt grinder was designed for complex grinding and has an open area behind the platen with easy access. 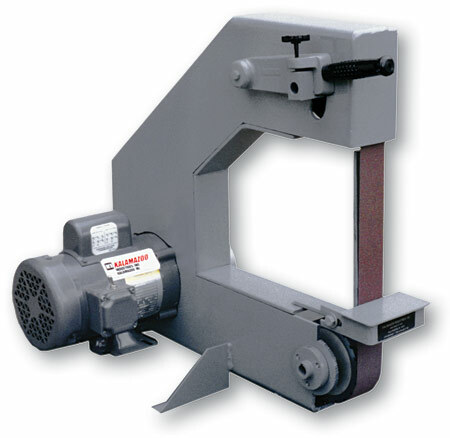 BG272 2 x 72 inch industrial belt grinder come with a 1HP 1 or 3PH motor that allows for quick metal removal with minimal heat! 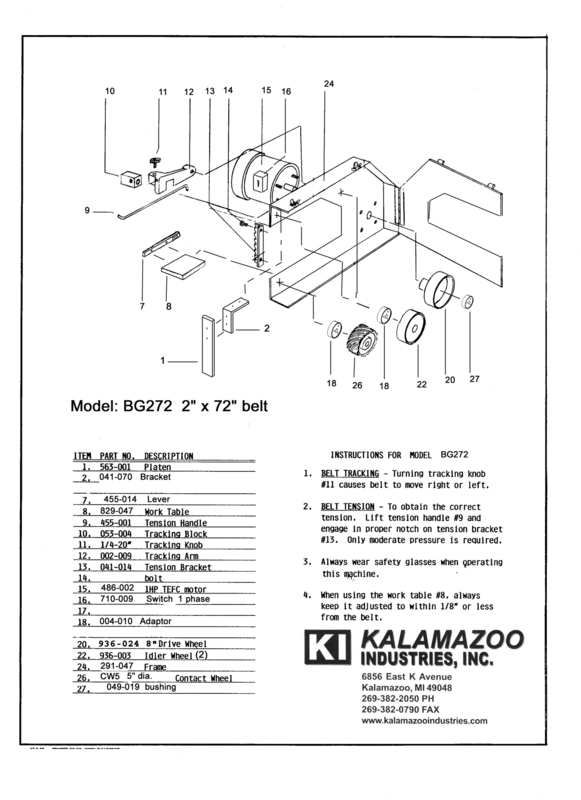 The BG272 offers; quick belt change, contact wheel and adjustable work rest. The BG272 belt grinder is great for aggressive grinding, beveling, deburring, descaling, polishing, finishing and tool sharpening. 5″ lower contact wheel, direct drive. This industrial belt grinder has applications in the following industries: Energy, Oil/Natural Gas, Petro/Chemical, Knife Manufacturing, Automotive, Metal Foundries, as well as many other Manufacturing and Fabrication environments.